Welcome to our three-part series called "LIC for Brooklynites," the QueensNYC guide to LIC for Brooklyn folks. We'll be featuring where to eat, what to do, and where to live. 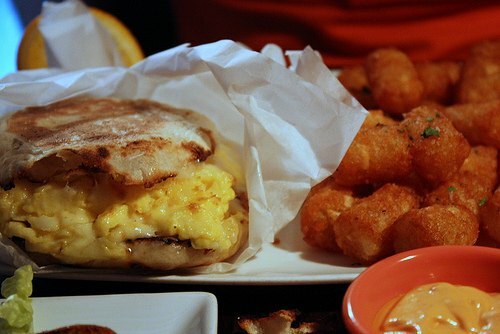 This first part is about where to eat in Long Island City, Queens. Brooklyn is right to be proud about its diverse food scene, but it's no secret that Queens also has a lot to offer when it comes to food, too. The borough is known especially for its authentic immigrant food - Greek, Mexican, Colombian, Uzbeki - but Long Island City in particular has become a home to European-influenced and New American dishes, as well as myriad artisanal foods. LIC continues to gain a reputation for excellent eats. We love you, Brooklyn - hey, you're just over the bridge from LIC. So come visit - bike (the Pulaski has a safe bike lane), walk (it's a short walk, we promise), drive (we have parking), take the ferry (from DUMBO or Williamsburg), or take the subway (7/E/F/M/N/Q/R, and the G). We'll feed you well. Here are some places we think you'd like to check out when you're hungry. We've grouped them by street, and most are accessible by subway, at the least. If tasty pub grub and an seemingly endless beer list appeal to you, Alewife has your number. 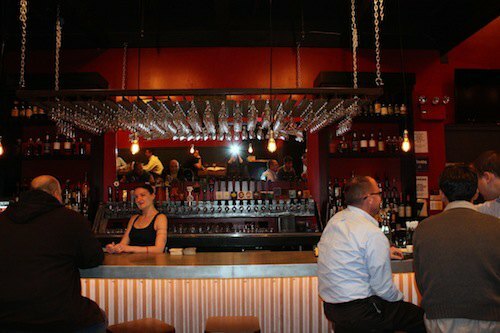 It's only a couple of blocks from the Vernon-Jackson 7 stop, and shows off with a beautiful, warm dining room and terrific group of bartenders and servers to help you out. We're partial to their fries, which come with parmesan and truffle oil. The burger is also terrific. This is one of the new kids on the block and is a restaurant that should not be missed. Chef Ian Kapitan brings all sorts of interesting dishes to the menu with the imprint of New American style throughout. The menu also changes with the seasons. Anything having to do with pork is a winner, like the Berkshire pork loin (BTW, occasionally they'll hold pig butchering classes at the restaurant); the pickles are delicious and are made locally (the carrot and sweet tarragon is especially good); the Long Island Duck is also amazing. Cocktails also change with the seasons - give their gin-based Quince Cooler a try if you find it on the menu. Brunch is also served on the weekend, where you'll find croissant french toast, a stellar BLT, and their popular wild mushroom toast. This cool, sophisticated, yet unpretentious wine bar is owned by Tournesol proprietor Pascal Ecriout, and is¬†located just next door to the restaurant. 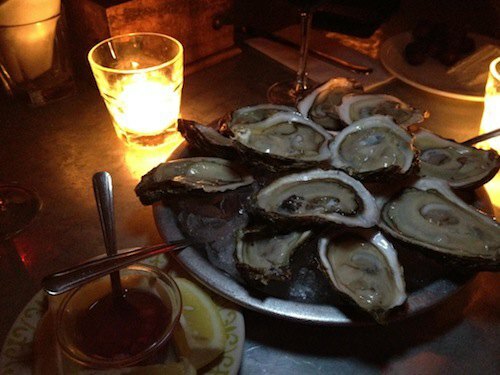 Stop in here for a glass of wine, cheeses from Artisanal, and local oysters and charcuterie. Late nights there's often jazz. This is a real refuge from the hustle and bustle of the city, a great place to relax with a glass of vino and your loved one(s). 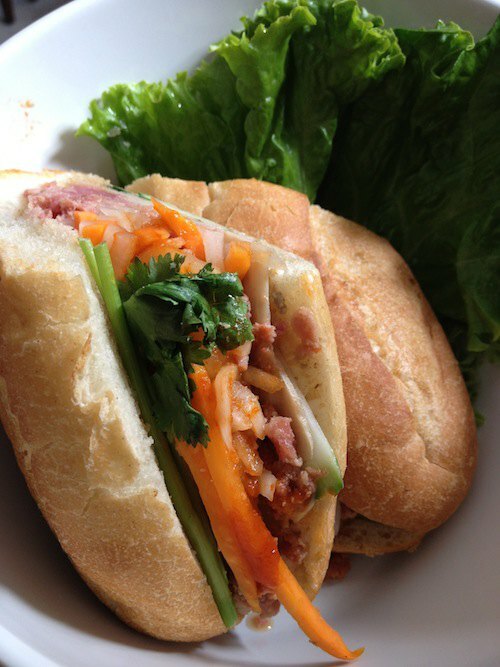 This new Vietnamese spot is serving classics like pho, clay pot dishes, spring rolls, and banh mi sandwiches. Particularly good is the ginger clay pot chicken - the dark meat chicken is moist and the rice below soaks up the sauce. Give the homemade pickled plum soda a try for something a little different, or the ginger lemon soda, recommended by the staff. 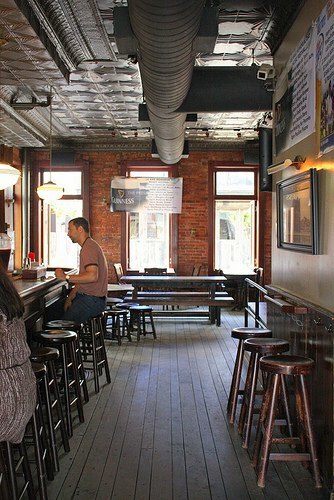 While not a home to food, this is a great bar with a welcoming space, lots of wood and exposed brick, tin ceilings, and a nice backyard patio; the bar itself is over 100 years old. Stop in for a drink, hang out with your friends, or catch some local bands play the night away. 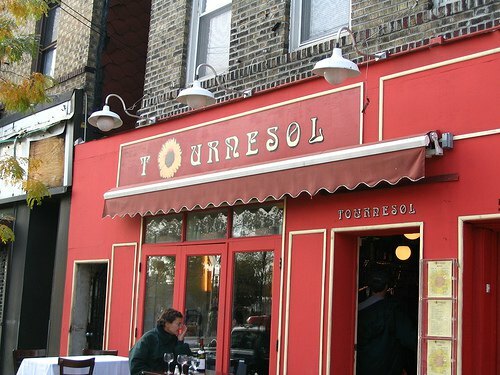 Named after the French word for sunflower (catch the giant painted sunflower on the side of the building that houses the restaurant), Tournesol is one of the standards in the neighborhood and has been attracting diners both inside and outside the borough for years. The space is cozy and intimate and is a great place for both a date or a a small group of friends. The menu offers classic French bistro dishes, like frisse aux lardons, croque monsieur, and quiche lorraine. Their brunch is also excellent - on NYC Marathon morning, you can watch the runners go by from a window seat in the restaurant. 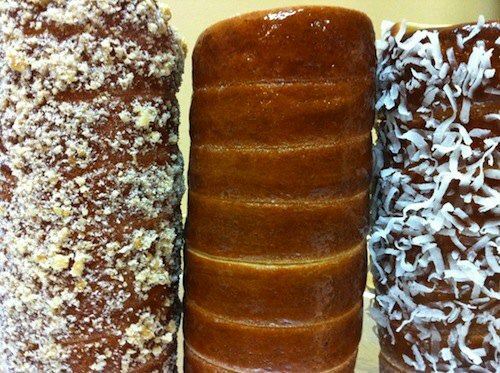 This bakery serves primarily the chimney cake (K√ºrt≈ëskal√°cs in Hungarian), a traditional baked good from Transylvania. It was originally a special pastry served during weddings, but here you can eat it every day! It's made of a sweet yeasted egg dough that is rolled out in thin strips, wrapped around a wide tubular form and baked. Sometimes it is served as-is and sometime it is served coated with nuts or coconut. This is one of the only places you can find this pastry in all of NYC. 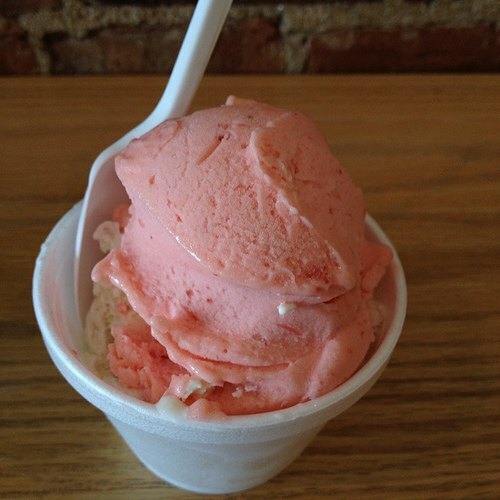 Named after the owners' children, Matteo and Luc (Ma-Lu), Malu has become the premiere place for ice cream in LIC. 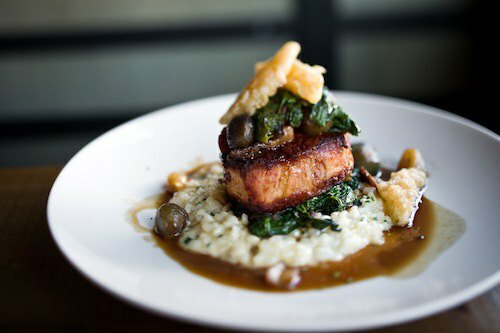 Their flavors are fresh and inventive, texture oh so creamy, and everything is expertly made, right there on the premises. Flavors change, sometimes daily, so grab something that piques your interest when you see it. Particularly delicious options in the past have been chocolate orange hazelnut, princess (strawberry ice cream with edible silver glitter), and maple bacon. 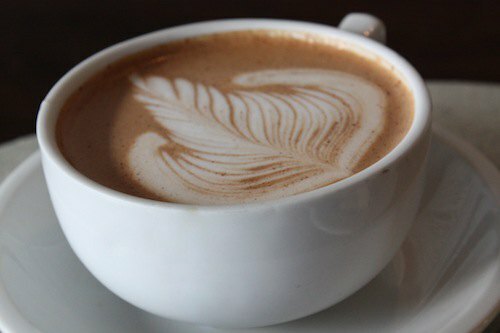 This indy cafe, which recently expanded into Brooklyn, makes our favorite coffee in LIC, hands down. Everything they prepare is delicious, from the coffee to the baked goods. Their iced lattes are excellent, but if you are even the least bit interested in trying something new, get the iced rocket fuel - cold brewed coffee made with chicory coffee and maple syrup. It's one of their best sellers. Their little cinnamon puffs go perfectly with the coffee, too. This is the home to serious barbecue (we agree with their URL) in LIC. 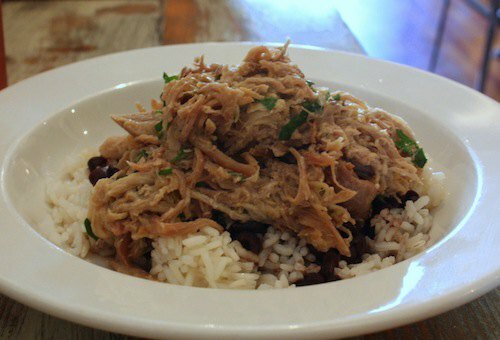 Kansas City is their style of 'cue and it is delicious times a thousand. 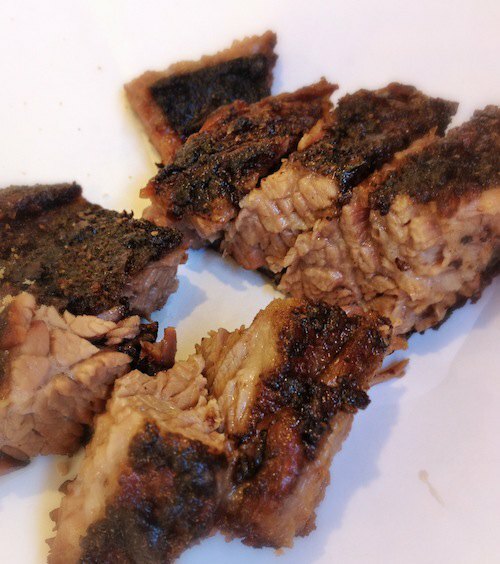 Try the burnt ends, which are nice and meaty with a beautiful crust. You can get sandwiches (pulled pork, burnt ends, or the PBLT made with pork belly) or simply platters of beautiful meat like brisket and ribs. For sides, we're partial to the porky collard greens and mac and cheese. And though the main event here is meat, they also offer salads, with or without meat (upon request); the Jackson Salad is particularly good. This is another spot in LIC that likes to focus on seasonal eating. They also work with local farmers - like Brooklyn Grange - to source the ingredients for their menu items. When you first enter the restaurant, you'll see jams and pickles for sale on the right (that's the Market part of the place). Beware that their hours are a bit unorthodox - on weekdays they are always open for lunch, on weekends for brunch, and dinner takes place until 10pm only on Wednesday-Friday (dinner is not served any other days of the week). Particularly tasty is their Market BLT (which comes with avocado), the roast chicken, and pulled pork. The slow roasted duck hash at brunch is also delicious. Sage is more of a restaurant than a store, though they do have a few things for sale like Brooklyn's Nunu Chocoaltes and McClure's Pickles. The owners at Sage like to work with local farmers and purveyors to get the freshest ingredients that are out there. 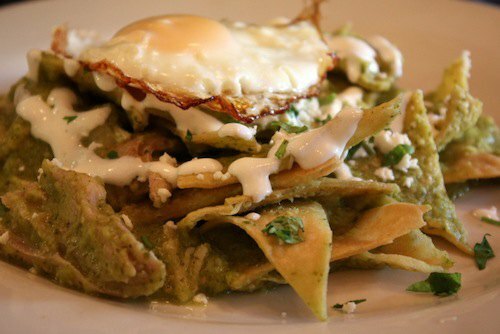 Brunch is a particularly popular meal there - we are particularly fond of the chilaquiles and the BLT. Their cupcakes are also some of the best in Queens; try the red velvet. This is one of LIC's more hidden gems, in part because of the short hours -¬†Tuesday through Friday from noon to 3:30pm. But if you can make it there during those days/times, you are in for a real treat. This is not an outlet or a seconds shop associated with Buttercup Bake Shop, the progeny of Magnolia Bakery, but a second location where the goods are baked and prepared. Everything is a little bit cheaper here compared to the Manhattan location, too. The cupcakes are lovely, the banana pudding rich and creamy, and they also have a different cake on special each day they are open -¬† Amaretto Bundt Cake, Tuesday; Chocolate Sour Cream Cake, Wednesday; Apple Walnut Cake, Thursday; and Carrot Cake, Friday. Cocktail connoisseurs know that Dutch Kills is the place to be for an expertly made, beautiful cocktail. They'll either make something for you to order containing ingredients and tastes you're looking for, or you can order one of their specialty cocktails developed in-house. 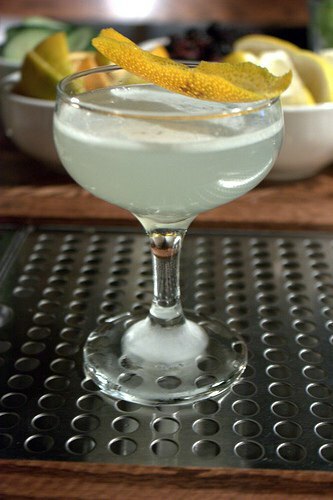 Try the Bayflower cocktail, made with Genever, St. Germain, fresh lemon and grapefruit juice, and a bit of simple syrup. Or try their Aperol-based cocktail, the Bloody Knuckle, made with the Italian liqueur, whiskey, sloe gin, and some bitters. The space is dark, and there are booths where groups of varying sizes can enjoy the pleasure of each others company and the joy of a fabulous mixed drink.